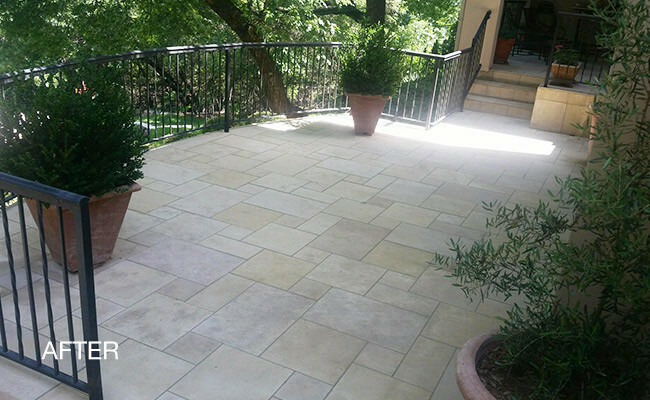 Homeowners in Austin, TX were frustrated with the dirty appearance of their limestone patio. They didn't realize that years of improper care were contributing to the severe discoloration. We used industrial strength, stone-safe cleaner to pretreat the area. After allowing plenty of dwell time for the solution to absorb, we used a high-powered floor machine fitted with a honing pad to remove the heavy discoloration. Finally, we applied an exterior-grade penetrating sealer to inhibit staining. Our customers were very pleased with the outcome. In addition, we provided them with educational materials and recommended cleaning products (available here), and suggested a proper maintenance regimen for the future. To learn more about our natural stone restoration services, visit our natural stone services page. Don't replace a worn or damaged limestone floor, have it restored. 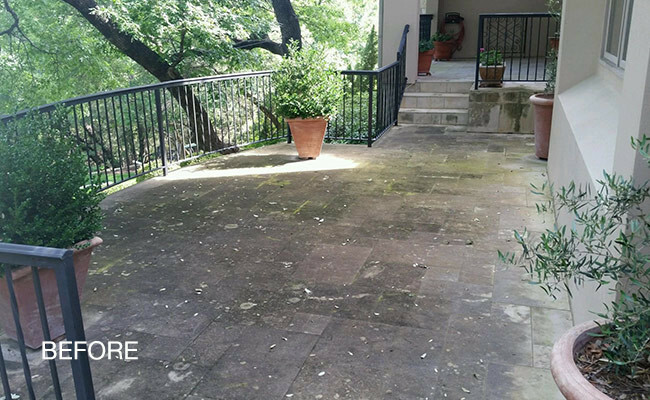 For a free estimate on limestone restoration, Contact us online or call us: SAN ANTONIO (210) 656-8019 or AUSTIN (512) 250-2613.